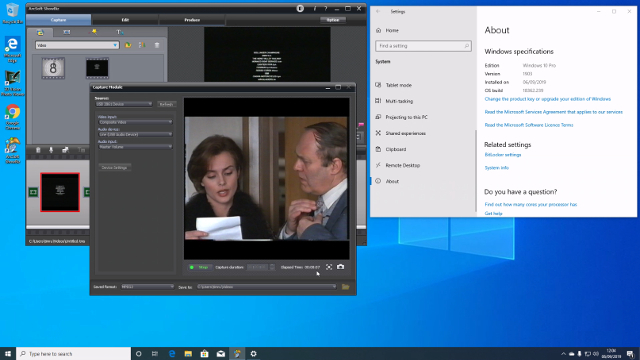 Video-2-PC 2019 | Copy VHS to PC & DVD | For Windows 10, 8.1, 8, & 7. All those old VHS and camcorder tapes you own are slowly degrading. The longer you leave it, the more they'll deteriorate. Use our kit to make them digital and they'll last a lifetime. Copy all your old videos onto a PC. Burn them to DVD. Upload to iPad/Android tablets, Kodi box or internet. Transfer your wedding video, school plays, quiz show appearances, holiday videos, training videos. Contains all the hardware, software and instructions required to link your VCR or camcorder to your PC. • Transfer videos to DVD using your Windows 10, 8.1, 8 or 7 PC. 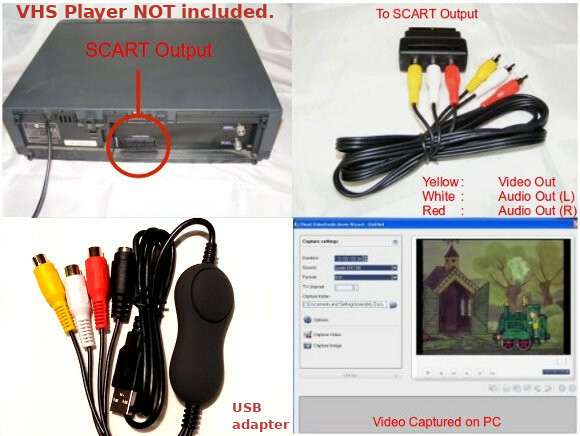 • Grab video from DVRs, VCRs & Camcorders with Scart or RCA outputs. • Convert old VHS and Betamax cassettes to DVD using a Windows PC. • Attach any camcorder to your PC - VHS-C, Video8, Hi8, Digital8, Mini-DV. • Grab video from more modern hard drive camcorders & CCTV DVRs too. • Get all your old videos onto an iPad, Android tablet or your Kodi box. • Edit out the sections you don't want. Add titles & scene transitions. • Convert between AVI, MPEG-2, H.264 & MPEG-4 video formats. • Copy to USB memory stick & watch them on your Kodi box. • Store backups of your precious videos safe in 'The Cloud'. 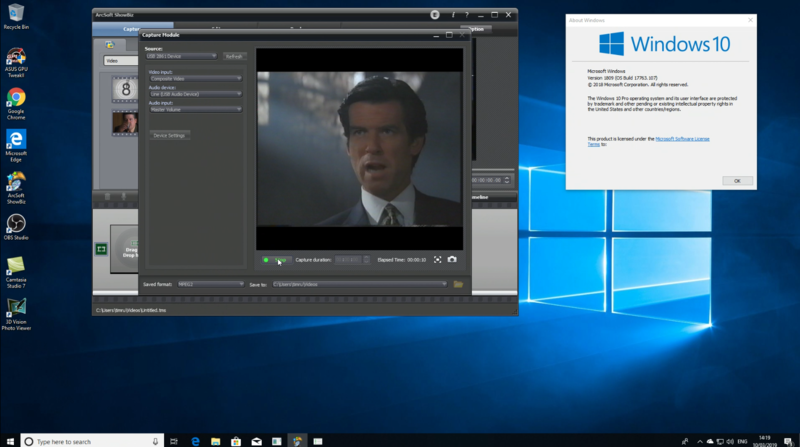 Video capture suite - Runs on all versions of Windows 10, 8.1, 8, & 7. Capture, edit & burn videos to DVD. Video Converter: Easily optimize captured videos for viewing on Android tablets or iPad. For Windows 10, 8.1, 8, & 7. DVD and MP4 Player: Plays every video format known. Free lifetime updates. For Windows 10, 8.1, 8, & 7. No extra fees to pay for any of the supplied software, all programs are full versions. Our instructions & video guides are clear and concise. Technical information : The software supports PAL (UK/Europe/Australia/New Zealand) & NTSC (USA/Canada) devices. Both S-Video and Composite video inputs are supported by both hardware and software (we supply a composite lead). Even and odd fields are combined into single frames that can be captured at full frame rates for the applicable standard (VHS Upscaling). The maximum supported frame size is: PAL (UK & Europe) 720 x 576 (DVD quality) @ 25fps / NTSC (USA) 720 x 480 @ 30fps. Captures video & audio over USB to a standard MPEG, MPEG-2, MPEG-4 or H.264(requires a fast 2.8GHz+ dual or quad core PC for live H.264 capture, slow systems can convert post-capture) or uncompressed AVI file. Our USB adapter performs Time Base Correction - which means even if your 1980s wedding video has gone all wobbly & wavy our adapter will still capture what remains, providing it plays back on a TV okay. In addition to the USB adapter, we send a two metre yellow/red/white phono lead PLUS a Scart adapter - this means you can connect all Scart equipped VHS & Super VHS VCRs and older VHS-C, Hi8, Video8, Digital8 & Mini-DV camcorders. Even older pre-Scart VHS and Betamax players can be attached (see Attaching Cables PDF Guide and just ask if you need the free BNC adapter). 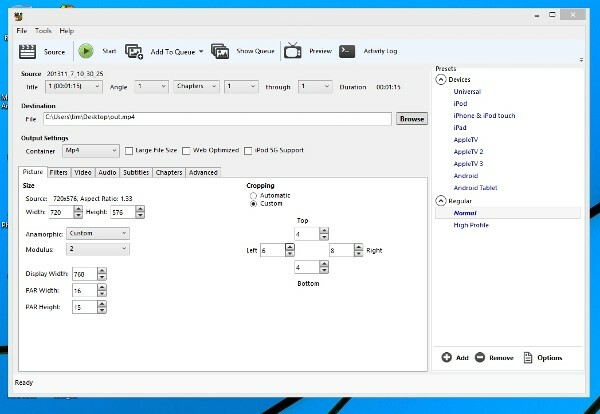 You can also connect more modern equipment, such as Freeview, satellite and cable TV hard drive recorders and camcorders with DVD or memory cards - basically, anything that can be connected to a TV by Scart or Yellow, Red & White leads can be recorded onto your PC. DVDs you produce will play back in any DVD player, providing you use DVD-R or DVD+R media and not rewritables. How easy is it to use? Just plug the Scart adapter into the back of your VHS video player, attach the yellow, red & white lead, connect the USB capture device, install software from the CD, finally plug the USB adapter into your PC. Here's a PDF Guide showing you how to connect almost any VCR or camcorder correctly when using our kit. We've tested the kit with a wide variety of laptop & desktop PCs running Windows 10, 8.1, 8 and 7. If your PC is less than eight years old, it will be powerful enough to run our kit. Please read the pre-purchase FAQ page if you're still running XP or Vista and aren't quite sure if your PC will be powerful enough. We give you all the hardware and software you need to connect your VCR or camcorder to your PC. The included software makes the capturing, editing & burning of your project simple. 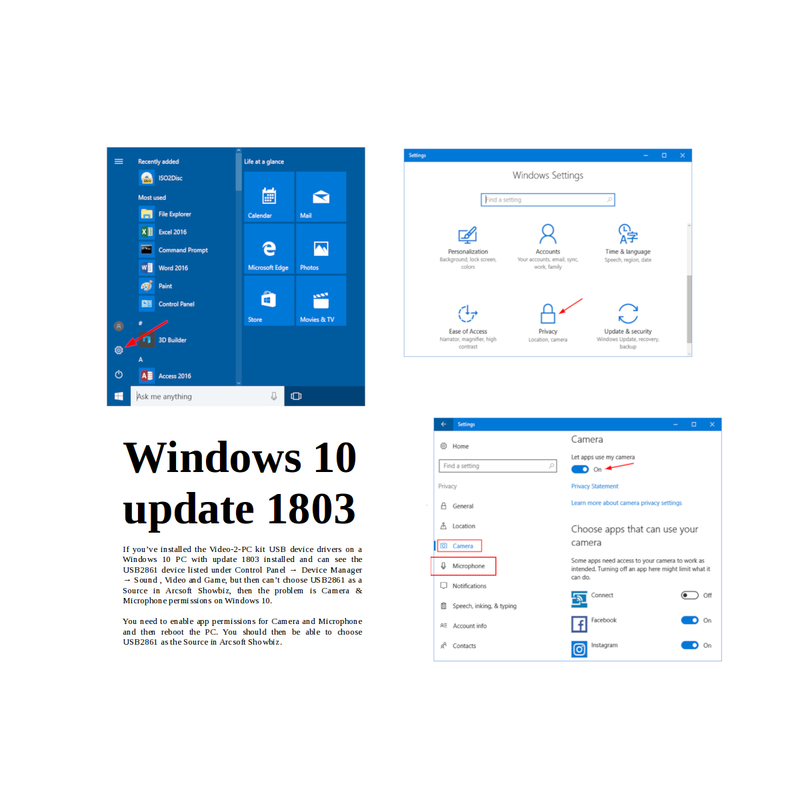 Our kit includes three pages of easy-to-follow instructions for Windows 10, 8.1, 8 & 7, along with a video tutorial on the CD that shows you exactly what to do. If you need further help we're only a phone call or email away. We buy direct from the USB device manufacturers & only supply the most recent versions. We know our products inside and out & only sell direct. You can buy cheaper looking products from a 'Newspaper Reader Offer' or a PC megastore, but they'll often supply only half the cables you need or USB hardware with poor signal-sync that gives jumpy results. Our kit is complete, works perfectly & comes with real support. Q. Is your kit the best product available for converting old videos onto my PC? A. We think so. The USB adapters we supply use the superior and more expensive 8113 chip which provides time base correction and gives the best possible result. Q. How do I load the software if my PC doesn't have a DVD drive? A. Our instructions include download links for customers who have PCs without DVD drives. A. Capturing one hour of video takes sixty minutes. Authoring (only needed for making DVDs) takes another sixty minutes, on a fast PC. Burning to DVD takes fifteen minutes. Q. What formats can I capture video in? A. The software we supply supports MPEG, MPEG-2, MPEG-4, uncompressed AVI & H.264 formats. H.264 video can be played back on PC, Mac, Kodi box, iPad & Android tablet. A. Yes. We've personally tested it with all variations of Windows 10, 8.1, 8 & 7 (32 & 64 bit). Q. Where can I get some free Cloud storage for my captured videos? A. You can get 5GB from Google. Then view the video on any of your devices. Q. How easy is it to use the kit? A. Just follow the printed instructions & copy what we do in the tutorial video. You can watch the tutorial video as often as you need to. Q. Can I buy Video-2-PC at my local PC shop? A. No. We only supply Video-2-PC direct from this site, eBay & Amazon. Q. Where can I read reviews of Video-2-PC? A. Look at our Amazon reviews (mostly 5 & 4 stars) and our eBay feedback (99.9% positive). Q. 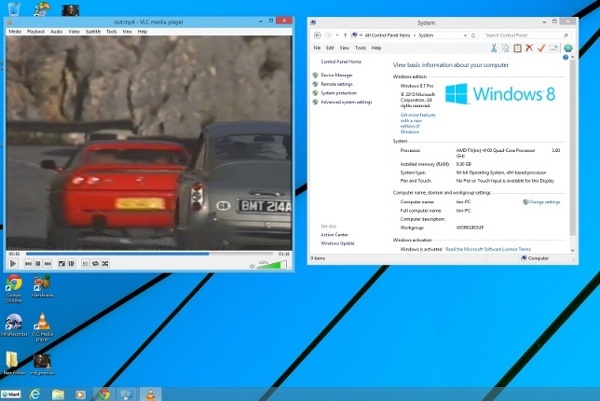 Will Video-2-PC work with Windows 10? A. Yes it will. See screengrab. There's also a video of our kit working with latest Windows 10 here. If you're using Windows 10 update 1803 or 1809 you also need to enable Camera & Mic security permissions to use our kit - Instructions here. for Windows 10, 8.1, 8, 7. Video-2-PC is also available via Amazon.co.uk. If you want to transfer vinyl LPs, audio cassettes and minidiscs to a Windows PC - for just £11.95 - see our Vinyl-2-PC site. If you want to copy VHS and Camcorder tapes to an Apple Mac, please take a look at our Video-2-Mac kit.